By 1969, he found himself stationed at Fort Bragg, working in the supply room in the John F. Kennedy Special Warfare Center. He and a group of fellow soldiers decided to join G.I.’s United Against the War in Vietnam and began publishing Bragg Briefs, which became one of the longest running G.I. anti-war newspapers of the Vietnam era. Noyes recalled it was both frightening and exhilarating to protest the war as an enlisted soldier. The activists handed out the paper at the PX and the Enlisted Men’s Club. When Army brass got word, Bragg Briefs was banned, but Noyes and his friends persisted, sneaking the publication into barracks and handing it out on Hay St.
“We were trying to reach both other soldiers and the public at large to try to convince them the war was wrong,” he said. 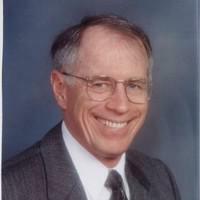 Hal Noyes was a reluctant enlistee during the Vietnam War. In1969, he and other anti-war activists at Fort Bragg began publishing Bragg Briefs, which became one of the longest running G.I. anti-war newspapers of the Vietnam era. Noyes said many low-ranking soldiers were sympathetic to their cause, as were soldiers returning from Vietnam. Ft. Bragg Stories is a collaboration between the Fayetteville Observer and WUNC's American Homefront Project to commemorate a century of history at Fort Bragg through personal narratives. You can hear other stories in the series here. 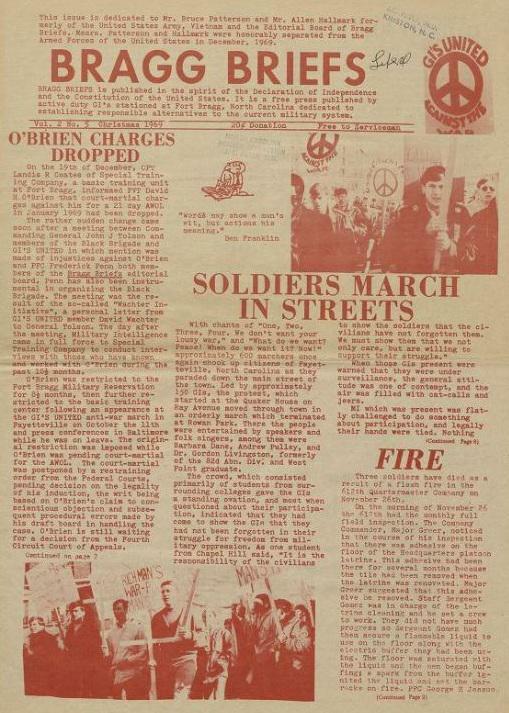 Front Page of Bragg Briefs, published December 1969. Downtown Fayetteville has transformed since the 1960's and 70's, when Hay Street was synonymous with seedy bars and strip clubs, but for thousands of soldiers who came through Fort Bragg on their way to the Vietnam War, memories of wild nights on Hay Street are indelible.